In electronics, a vacuum tube, electron tube (in North America), thermionic valve, or valve (elsewhere, especially in Britain) is a device used to amplify, switch, otherwise modify, or create an electrical signal by controlling the movement of electrons in a low-pressure space. Some special function vacuum tubes are filled with low-pressure gas: these are so-called soft tubes as distinct from the hard vacuum type which have the internal gas pressure reduced as far as possible. Almost all tubes depend on the thermionic emission of electrons. 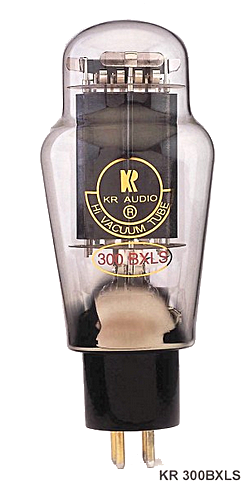 Vacuum tubes were critical to the development of electronic technology, which drove the expansion and commercialization of radio broadcasting, television, radar, sound reproduction, large telephone networks, analog and digital computers, and industrial process control. Some of these applications pre-dated electronics, but it was the vacuum tube that made them widespread and practical. For most purposes, the vacuum tube has been replaced by solid-state devices such as transistors and solid-state diodes. Solid-state devices last much longer, are smaller, more efficient, more reliable, and cheaper than equivalent vacuum tube devices. However, tubes are still used in specialized applications: for engineering reasons, as in high-power radio frequency transmitters; or for their aesthetic appeal and distinct sound signature, as in audio amplification.